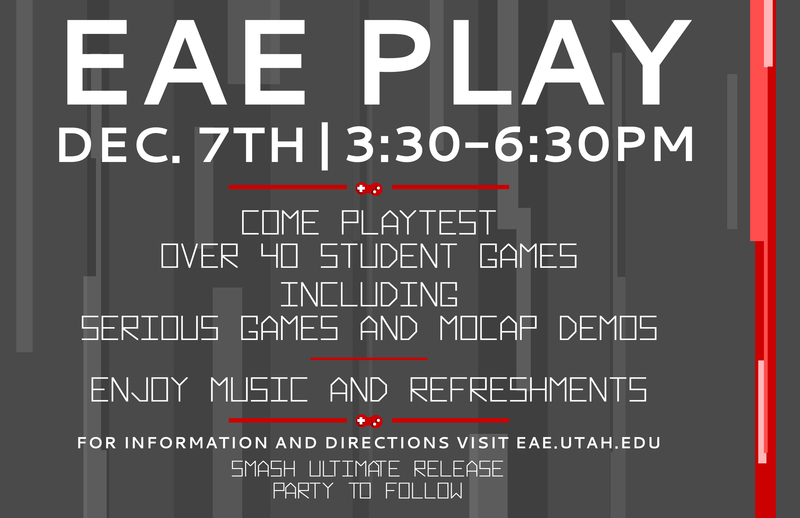 Save the Date: EAE Play! Come and join our giant play testing party! We will be showcasing and playtesting over 30 games from both our undergraduate and graduate games programs. There will be food and music and you can help our students improve their games with your feedback! Doors open at 3:30pm for this open house style party!